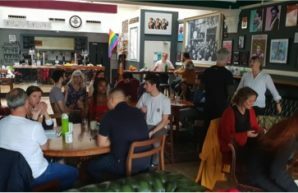 In early October we held the reaching out network’s first meeting after a short break from the gathering. What a start back, this year Brighter Sound are much more involved in and Lucy Wallace brought some brilliant training in! This resulted in a great attendance of over 20 people from all sorts of organisations such as radio stations and carnival arts. The training was based around Awareness and understanding when working with trans, non-binary and gender variant young people by The Proud Trust. So many great conversations, tasks and training were involved as the big need out of the the day from attendees was confidence in talking about this field. I’m looking forward to seeing how a network can progress with more specific training and also a real conversation between organisations who specifically work with children in challenging circumstances. Hopefully a conversation where people feel they can ask anything from workshop ideas to what genre of music is this i’m hearing!